The final trailer for Stranger Things’ second season has just dropped and it is simply breathtaking. 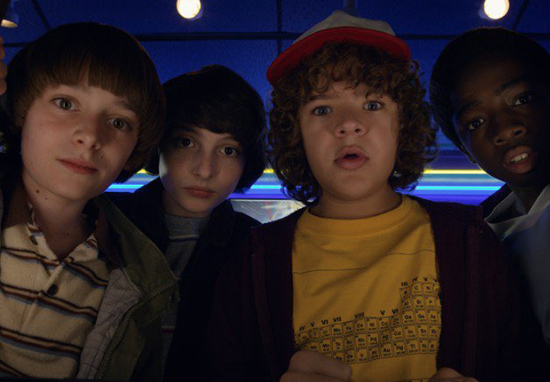 The hit Netflix show returns on October 27 and we just can’t wait to go back to the Upside Down. And since today is Friday 13th and Netflix are cruel, they’ve released a brand new trailer to tease us with what’s to come. 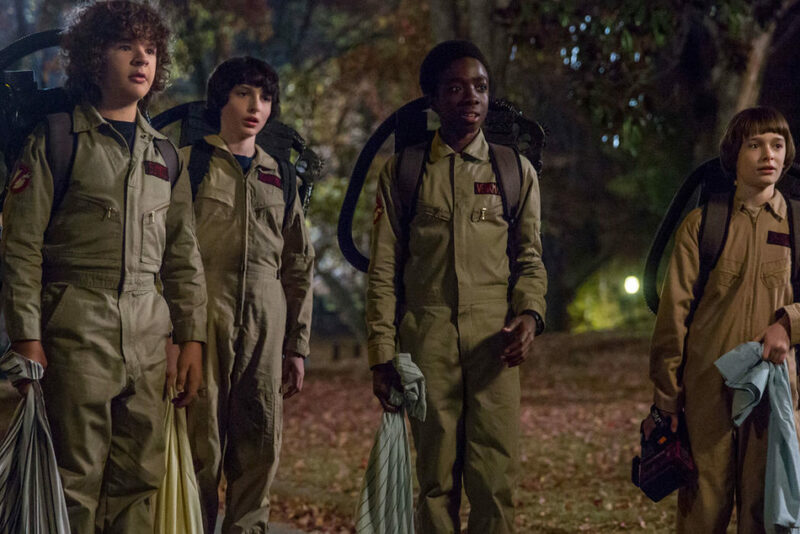 In case you’ve been hiding under a rock the past year, Stranger Things is a love letter to classic supernatural films and TV shows from the 1980s. Created by The Duffer Brothers, the show follows a group of boys who team up with a psychokinetic girl to help find their friend who has mysteriously disappeared. Set a year after the first series, the second season deals with how the characters are returning to normal life, but of course, things are not as they seem and someone has a chilling secret. The new teaser leaves us with plenty of questions and glimpses of what series two will bring. Why is Mike covering his ears in fear? Where is Eleven? What is happening to our favourite sheriff, Chief Hopper? 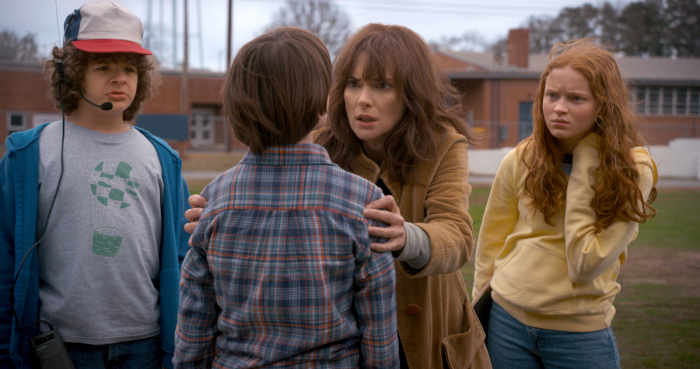 Who is Joyce Byers burying? And, most importantly, why isn’t it October 27 yet??? I need my Stranger Things fix now! In an interview with Entertainment Weekly, the cast and crew spoke about what fans can expect from the second series. 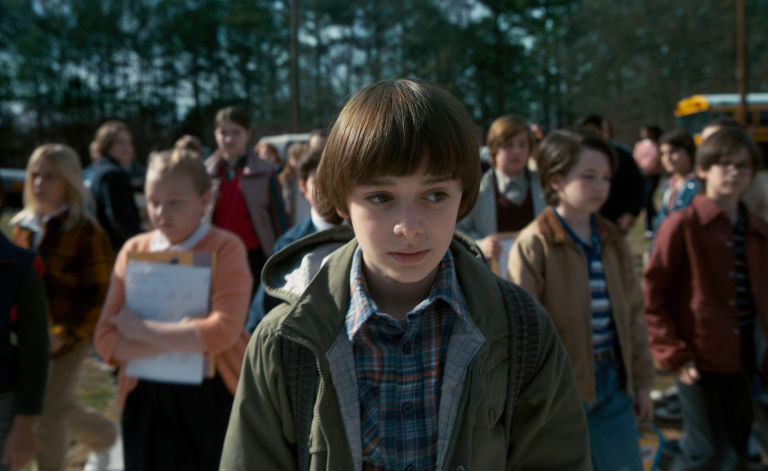 After Will is rescued from the Upside Down, he seemed fine until we saw the young boy coughing up a slug and seemingly returning to the other world in the final moments of series one. He seems to be seeing images from the Upside Down — the question is whether they’re real or not. So it seems like he’s having some sort of post-traumatic stress disorder. As long as Will is safe and sound from scary monsters, I’ll be okay but we all know this won’t be the case! Meanwhile his mother Joyce, played by the fantastic Winona Ryder, is attempting to make things stable for her family while dating an old classmate from high school, Bob (The Goonies’ Sean Astin). She’s trying to mask a lot. I think she’s made this choice with Bob because she wants a good father figure in her sons’ lives. Shaking up things is the arrival of brother-sister duo, Billy (Dacre Montgomery) and Max (Sadie Sink). While Max becomes friends with the boys, Billy does the exact opposite. Stephen King always has really great human villains. The evil in the real world is often as bad or worse than the supernatural evil, so we wanted to introduce a character like that. Stranger Things series two will be available to stream on Netflix from October 27.